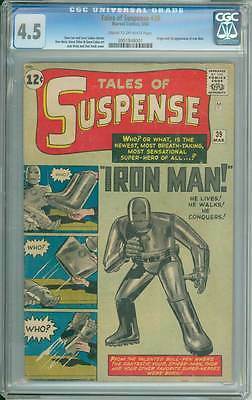 Tales of Suspense # 39 First appearance Iron Man ! CGC 4.5 movie scarce book !! Please check scan for condition. please contact us, we may just have what you're looking for in stock. please wait for an invoice before paying - it will save us time and you money.